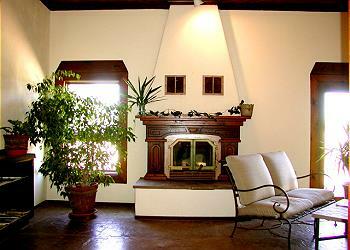 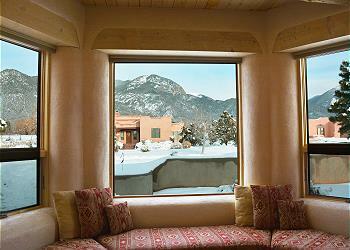 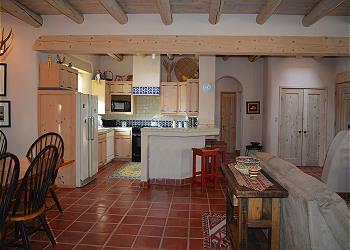 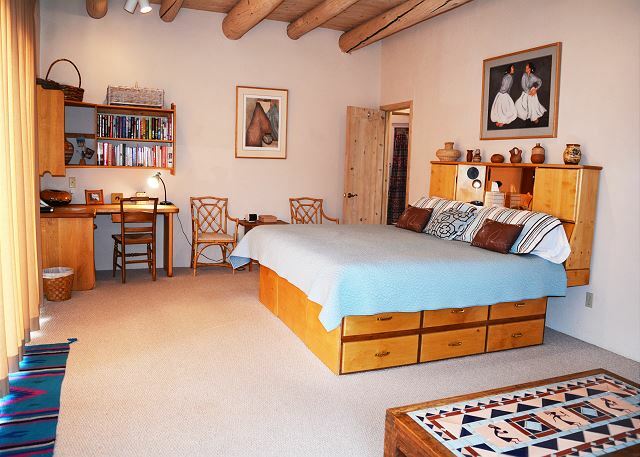 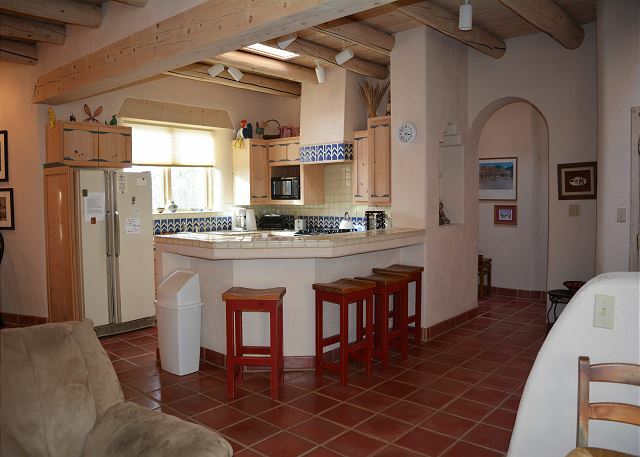 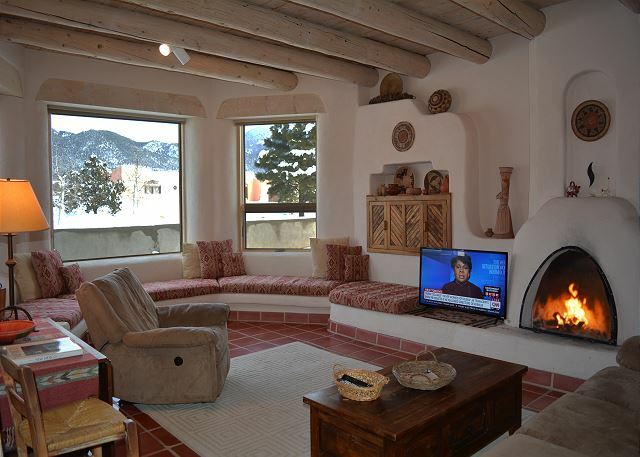 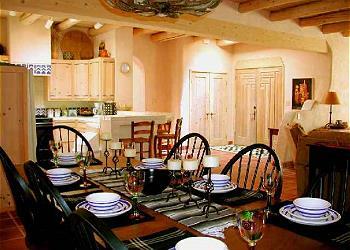 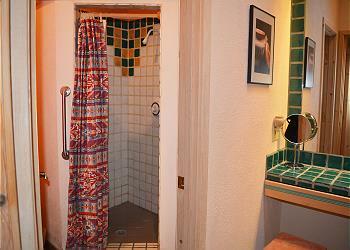 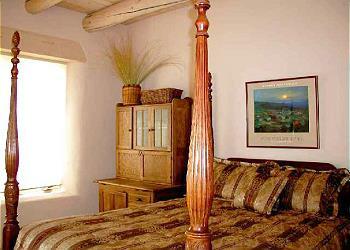 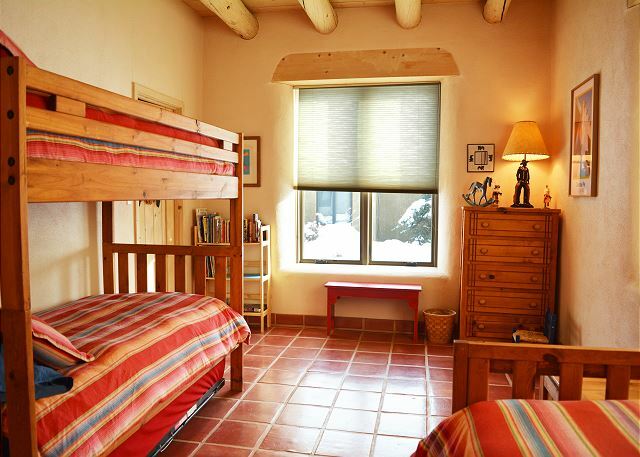 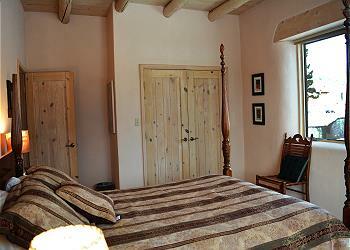 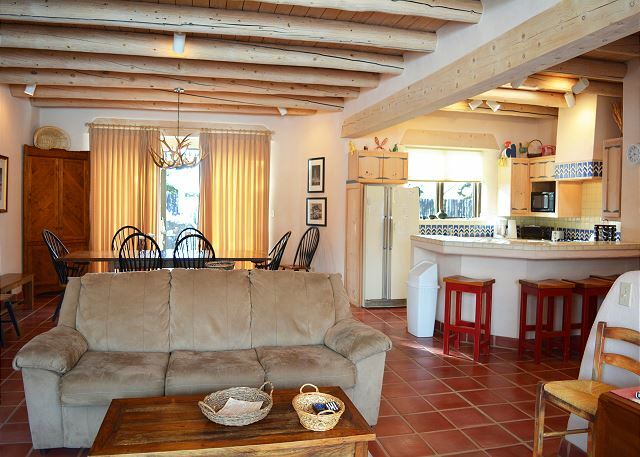 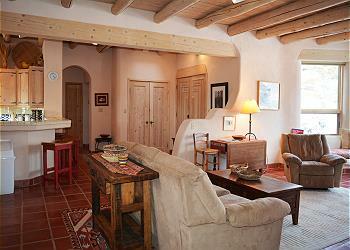 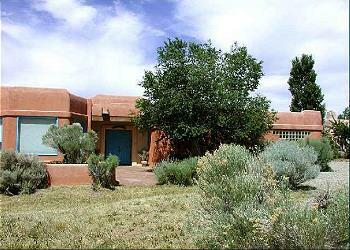 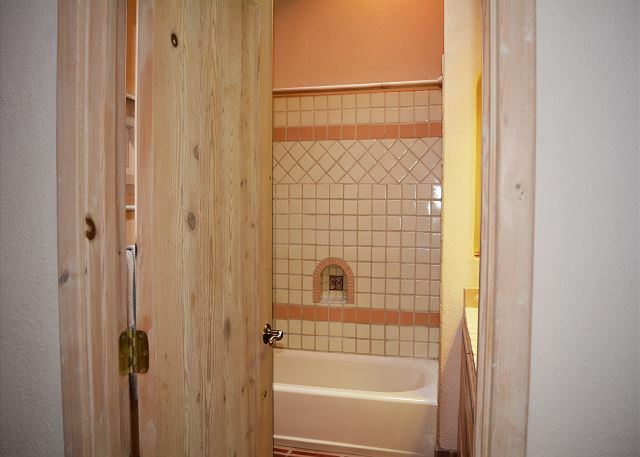 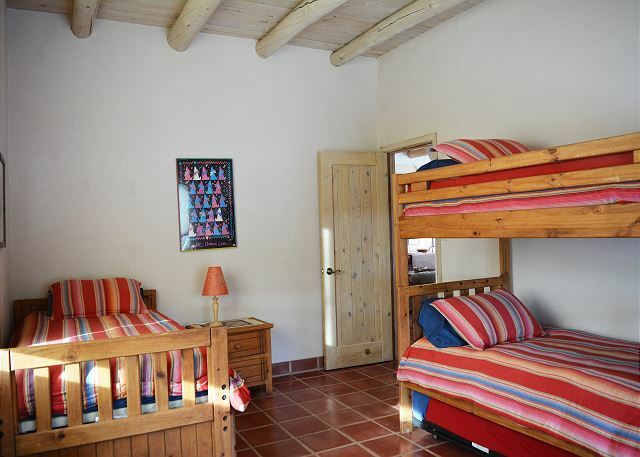 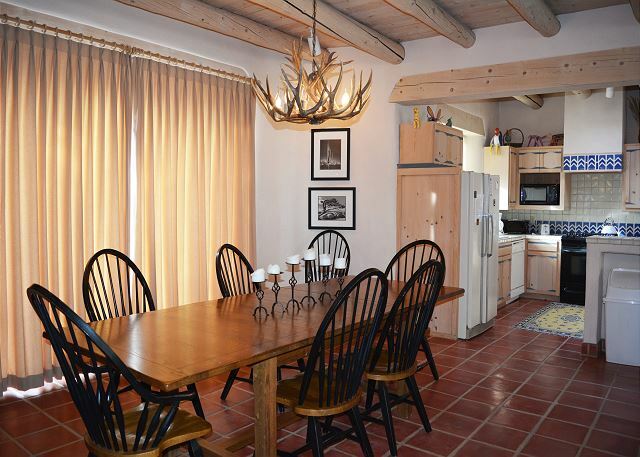 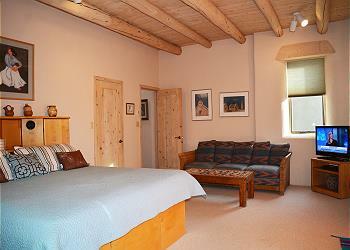 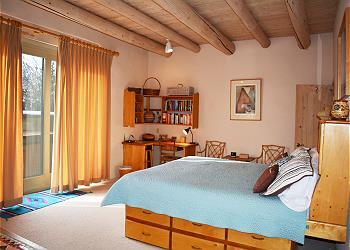 Dreamcatcher, a Los Altos gem invites 8 guests to come for a memorable Taos vacation getaway. 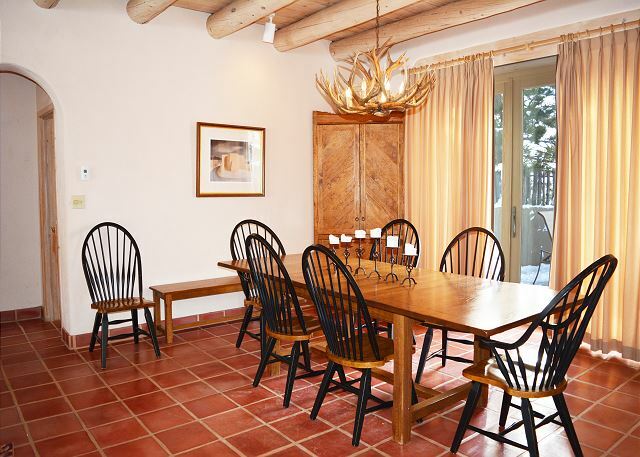 One look at the dining table tells you this owner paid particular attention to detail while furnishing her newly purchased vacation home treasure. 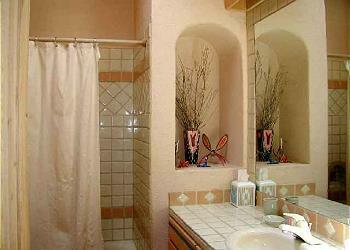 This penchant for detail is a theme throughout this lovely home offered for your vacation enjoyment. 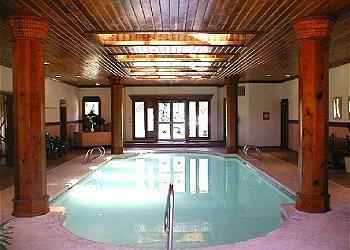 The large hot tub is there for relaxing after a day of hiking, biking, skiing, sightseeing, rafting and shopping. 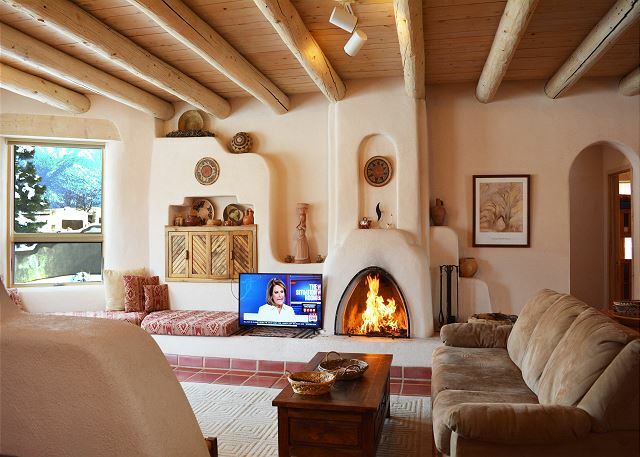 In addition, complimentary access to the Taos, Los Altos clubhouse with indoor pool and outdoor tennis is available to all guests of Los Altos vacation homes. 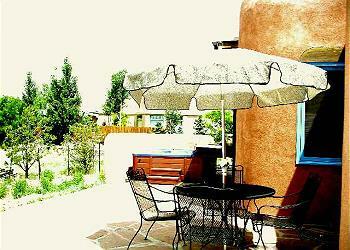 Come and stay at Dreamcatcher and let all of your Taos vacation dreams unfold. 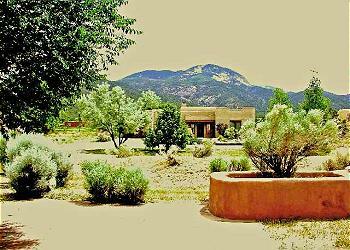 This is a wonderful home with wonderful vistas. 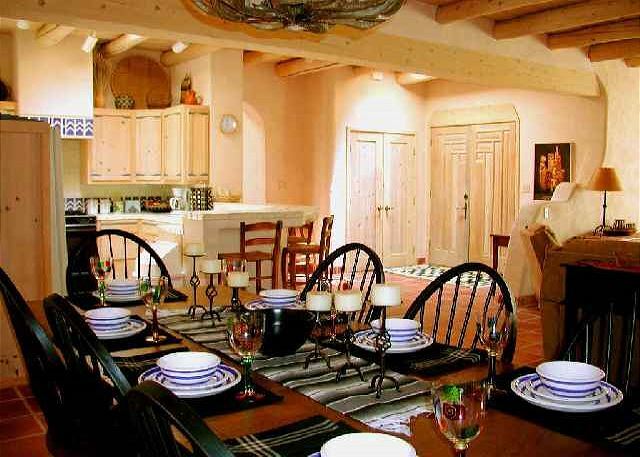 The radiant floor heat is lushious on a cold February night after a great day of awesome skiing! 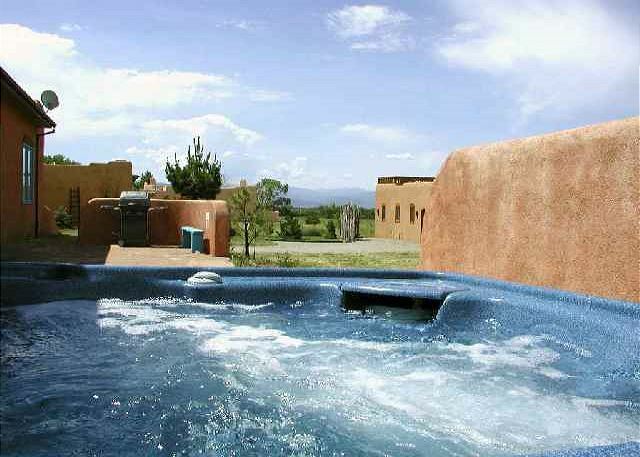 The hot tub and great starry nights were a great addition. Thank you. 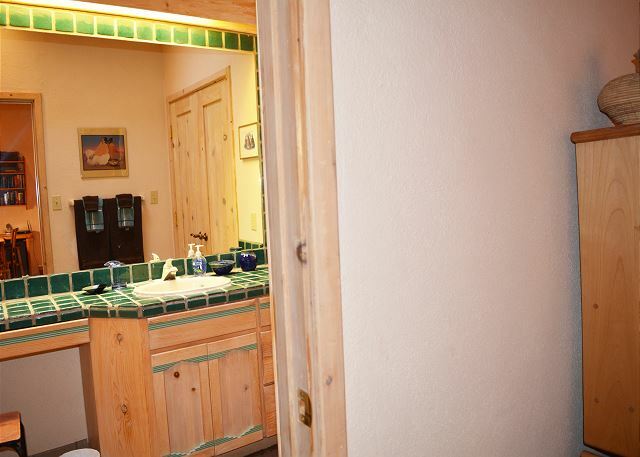 - Will and Jennifer B. 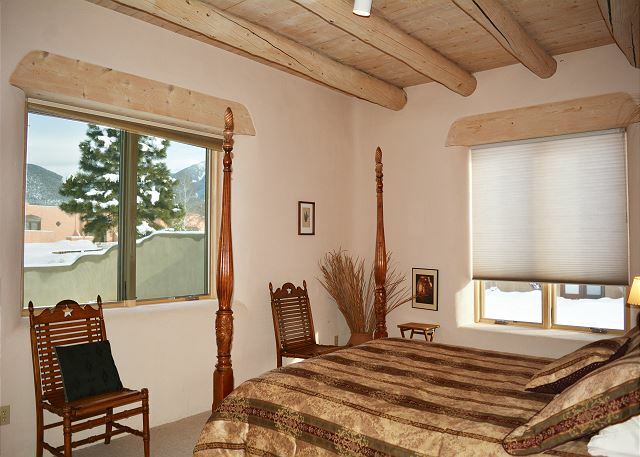 We loved being so close to the ski area and found this to be a great home for 2 families to share. 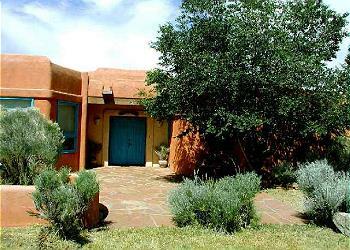 Making fires in the Kiva fireplace was a treat and the local dining is great! Taos.is awesome! 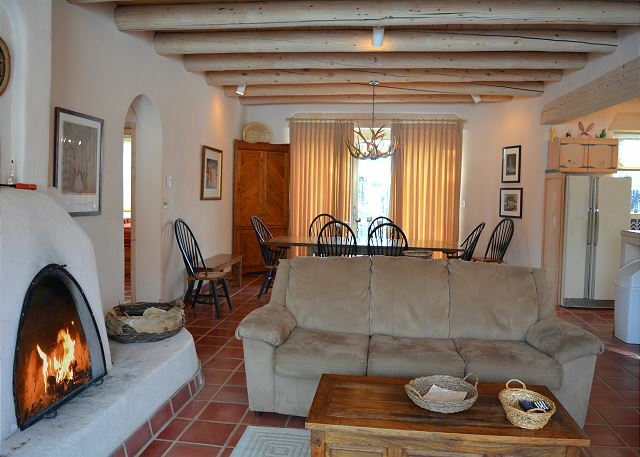 - Tina H.
We had a great family vacation in this lovely home and enjoyed the pool, tennis courts and Arroyo Seco Village! 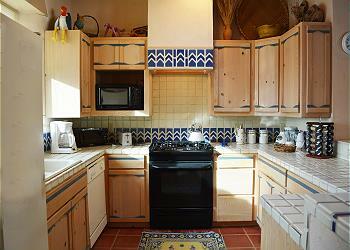 - Roy B.